App Builder Appy Pie: Most of us today are quite familiar with Amazon’s digital assistant – Alexa which has found its way on to smart speakers, smartphones, and the platform Alexa for Business helps the enterprises integrate it into the smart offices of tomorrow. Though Alexa has managed to surprise almost everyone who has interacted with it, but it does still have limitations in terms of what you can do with it. The real power it harnesses, comes from the Skills – the third-party apps that lend a great variety of abilities to it. Alexa Skills: How to enable them? Apart from being a digital assistant, Amazon Alexa is also a platform like iOS or Android. The apps that expand the usefulness of Alexa are called Skills. These skills belong to a number of categories that include business & finance, productivity, news, weather etc. and you can find them all on Amazon’s Alexa Skills Page. The Alexa Skills are all free, however some of the Skills do require a subscription service to function optimally. Alexa Skills do not come pre-installed and when you need to access a certain Skill all you have to do is either ask Alexa to enable it or go to Amazon.com or the Alexa mobile app and enable it. Currently Amazon Alexa is the leading digital assistant in the industry and has the maximum options for third party connectivity. In addition to being more open, Alexa is unique because it is available on a much wider range of devices as compared to their competitors. This is demonstrated further by the fact that Google Assistant has a mere collection of 2000 actions while Alexa passed the 30,000 mark this year in March in the U.S.! Additionally, Amazon Alexa is the only digital assistant today that has a dedicated store for its Skills, which means you can access them and enable them from one centralized space instead of having to go hunting for them online. Voice Activated technology spells our future in every sense and in every field. This is quite evident when we see technology giants like Google & Alexa betting heavily on it. We might even hold intelligent and fulfilling conversations with our computers soon. Amazon Alexa is not only the leader in voice-controlled apps but has also emerged as the most fertile ground for developers and businesses intent on working with Alexa Skills. 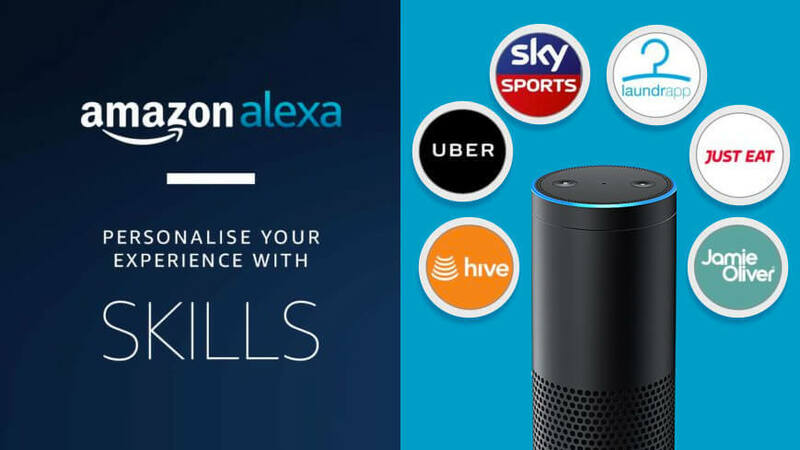 It was only in May this year that Amazon Alexa now supports kid skills in the UK & in Germany. The developers in these two countries can now create kid skills to offer experiences that are fun and educational especially for the kids under the age of 16. The Alexa Skill Kits in Amazon Alexa help the developers create some brilliant kid-friendly voice experience ranging from games to instructional skills which can offer great entertainment for the whole family and make these available in the two countries. Last year Amazon Alexa quietly launched quite a lucrative developer rewards program that was designed to encourage them to create voice apps or Alexa Skills, even before the platform expanded to include other monetization options, for example in-app purchases and subscriptions. It is due to this lucrative developer rewards program that today there are almost 5,000 new skills added in every 100 days on the platform and Amazon claims to have paid millions in these rewards to the developers in 23 countries. However, the rewards are not limited only to the money offered to the top charting developers, they have also announced some great perks in form of free Amazon Echo devices, albeit for a limited period of time!